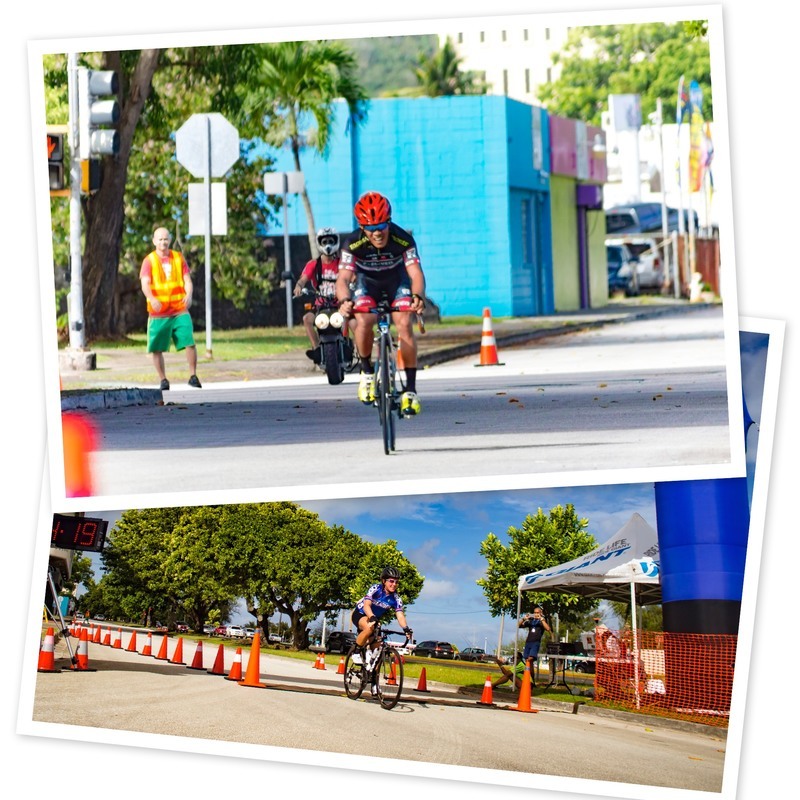 We are recognized by the UCI (Union cycliste Internationale), THE ocC (OCEANIA CYCLING CONFEDERATION), and the GNOC (Guam National Olympic Committee) as the official governing body of the sport of cycling on Guam. 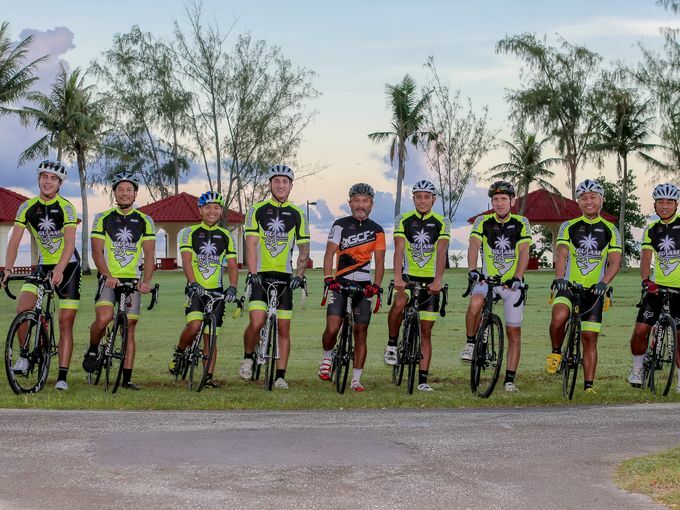 Our mission is to develop cycling on Guam with the goal to produce a team of Elite level cyclists to represent the island in international competitions including the olympics. MARTIN AND CHARGUALAF ARE 2019 GUAM MTB CHAMPS! Jonathan Martin and Leilani Chargualaf earned their MTB Champion titles on a grueling cross-country mountain bike course and with the tropical heat bearing down on them. For Martin, it is his 3rd MTB title; Chargualaf has her 2nd title. The men's race started off with an intense pace set by youngster, Sam Wilson and 2-time Guam mountain bike Olympian, Derek Horton. James Sardea was not too far behind. Martin sat in 4th for the first lap and slowly started picking off his targets in front of him. By the third lap, he had blown past Sardea and Horton and was creeping on Wilson. Martin secured the lead for good heading into the final lap and cruised in for the win with a comfortable lead. Horton overtook Wilson and finished second nearly three minutes behind Martin. For the women, it was a two person battle between Chargualaf and 2016 MTB Champ, Tara Tydingco. Chargualaf led start to finish and claimed her second title with a four minute gap over Tydingco. GALEDO AND NADEAU REPEAT AS 2018 TOUR OF GUAM CHAMPS! Mark John Lexer Galedo (Philippines) made it three in a row and Laura Nadeau has two champ titles to add to her collection. Dan Aponik (2nd overall) was the top resident local which garnered him the title of 2018 Guam National Road Cycling Champion. Mylene Garcia was the top resident female in the long course Open category and is the female National Champion. Rounding out the final podium spot for the men was Jake "Jojo" Gimoto. Former pro triathlete Mieko Carey (who last claimed the TOG women's title in 2015) was 2nd, with Tiffany Blair taking 3rd place. 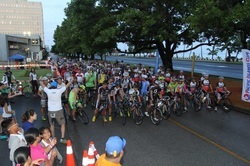 Guam Cycling Federation, along with the Guam Visitors Bureau (GVB), Pacific Islands Club, Lombard Health, Powerade, Hornet Sports, and BikeFix Guam presented the 2018 Tour Of Guam race. Read on how to qualify to represent Guam in Oceania Championship cycling events for 2018. Renew your GCF membership here! Several options to choose from. Check out our calendar for upcoming races!